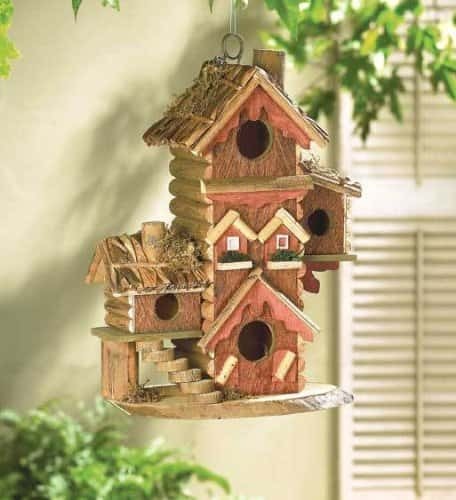 Bird houses can be used to provide shelter for birds while they are feeding or to provide safe nesting space. If you get a really cool one that is a pleasure to look at, then you can enjoy it almost as much as the birds do! Attracting birds to your garden creates a beautiful atmosphere. 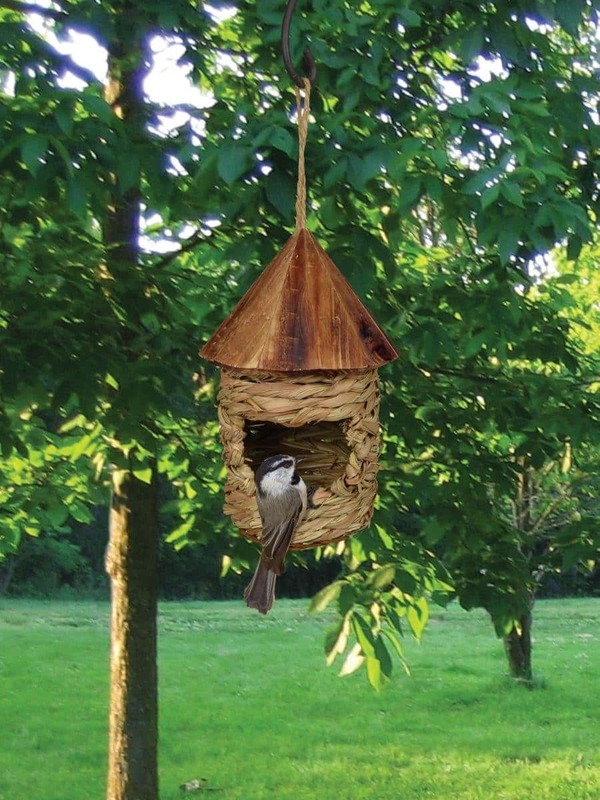 Here are 15 Cool Bird Houses to enhance your garden and attract some feathered friends. 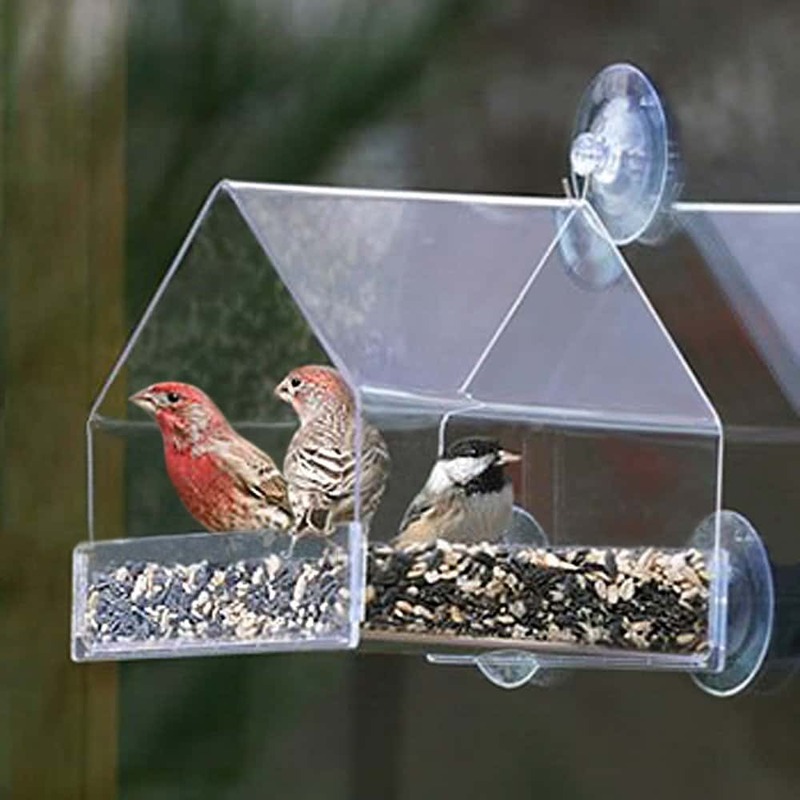 ^This Window Bird Feeder is surprisingly inexpensive and easy to install. 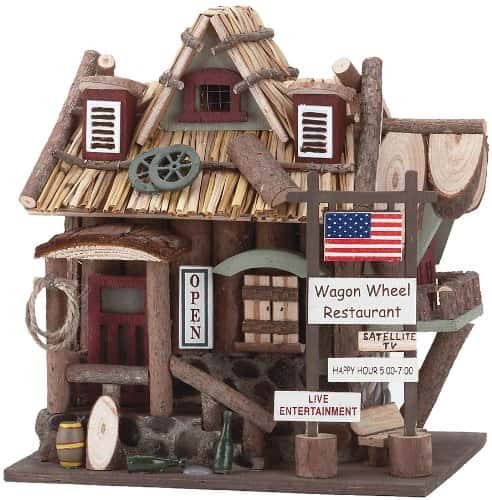 Looks great from outside and allows you to see the birds feeding from inside your home. 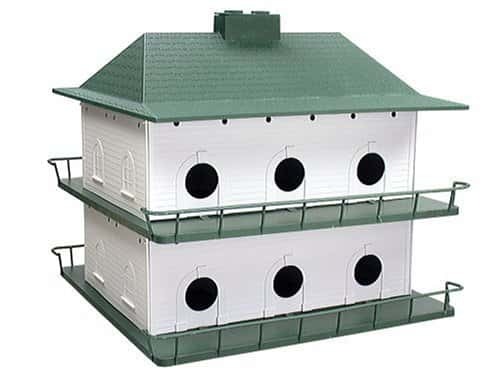 ^ A 12 room bird house that supplies a lot of nesting area. Great for your garden or in an aviary. 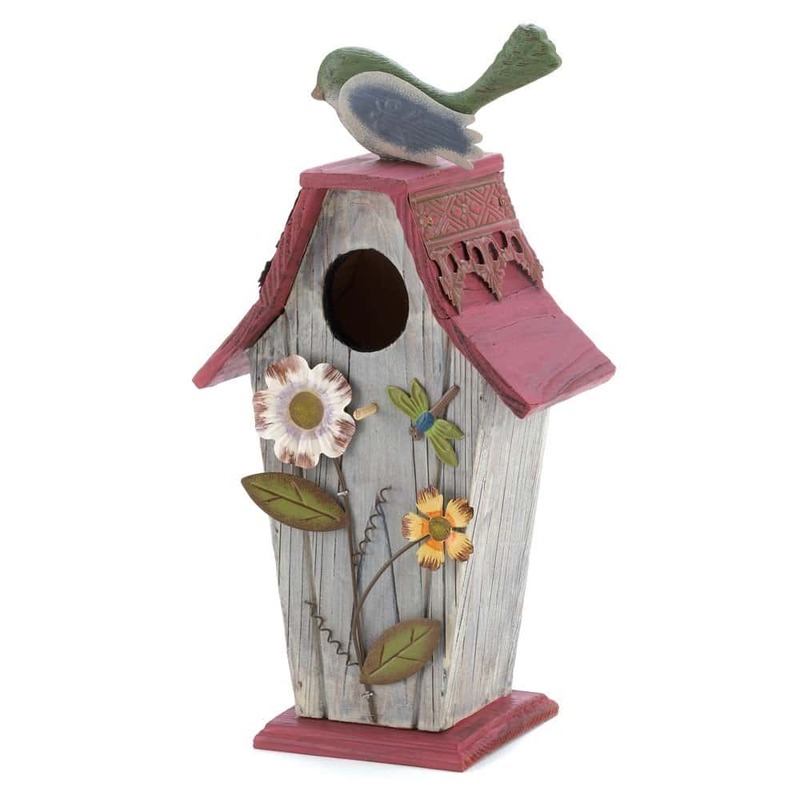 ^ An adorable, decorative, cottage style bird house that is welcoming and cute. Great value. 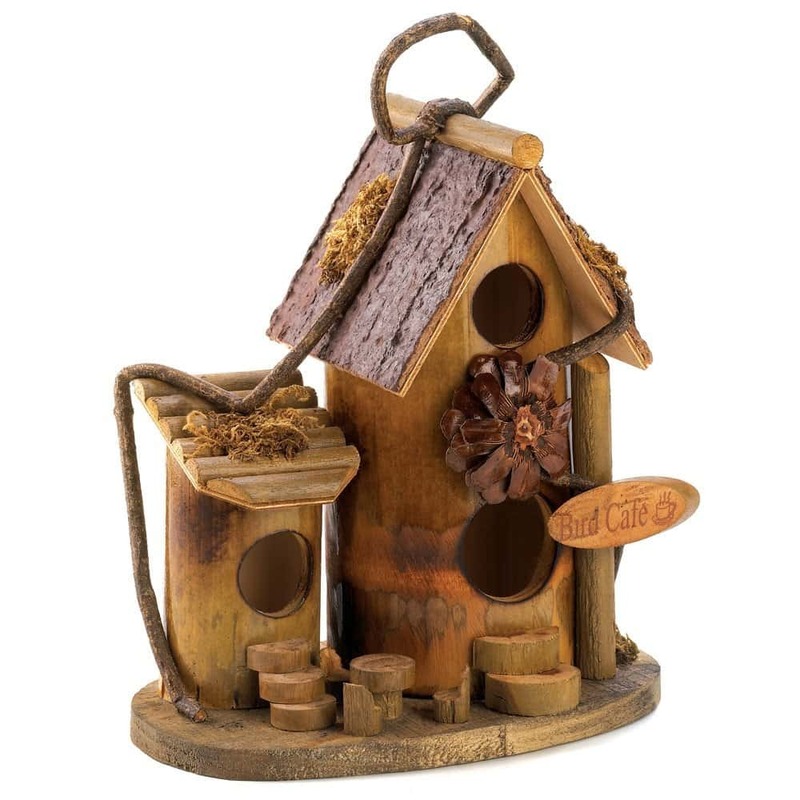 ^ This gingerbread style bird condo is designed to hang and it provides a lot of space for birds to feel safe and comfortable. 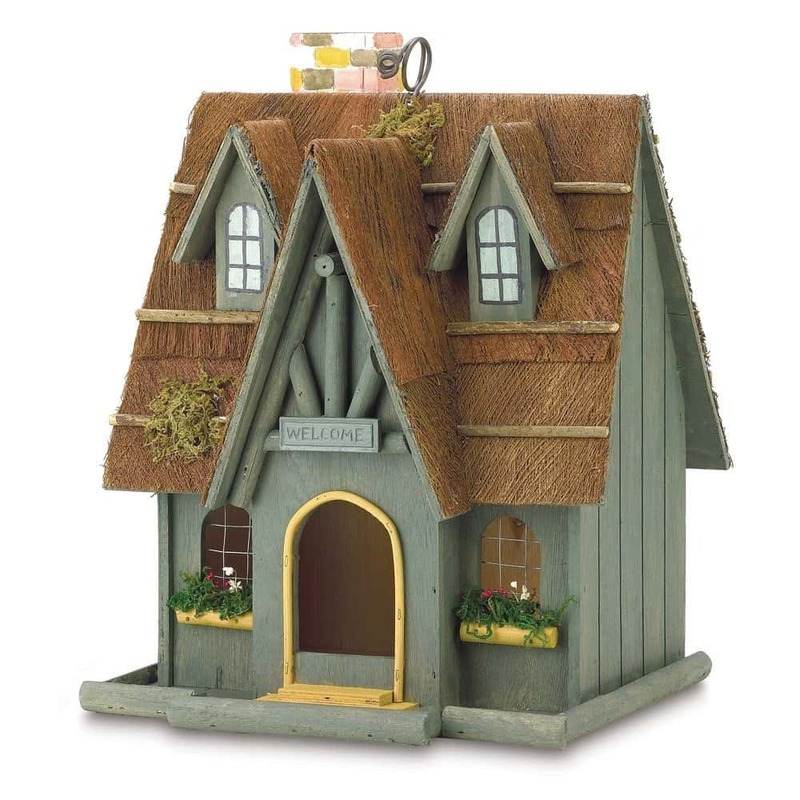 ^ A lovely country cottage birdhouse, charming. 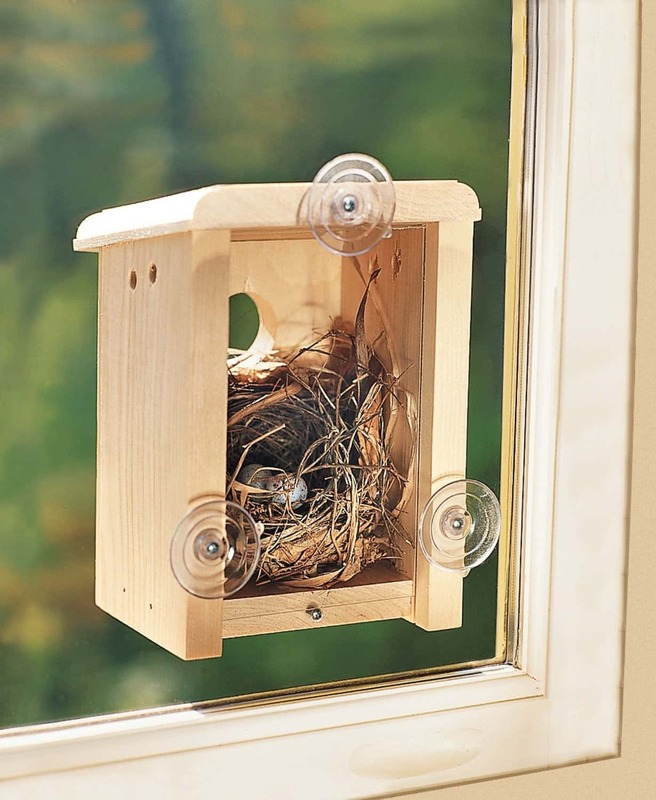 ^A window bird house nesting box that allows you to watch the babies grow. An excellent idea for children. ^ Hanging natural grass twine bird house ^ Adorable bird restaurant. 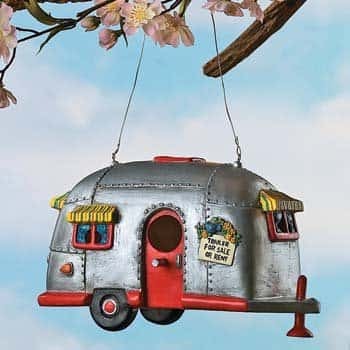 ^ A Camper Birdhouse. Very cute idea that is sure to look great in any garden. 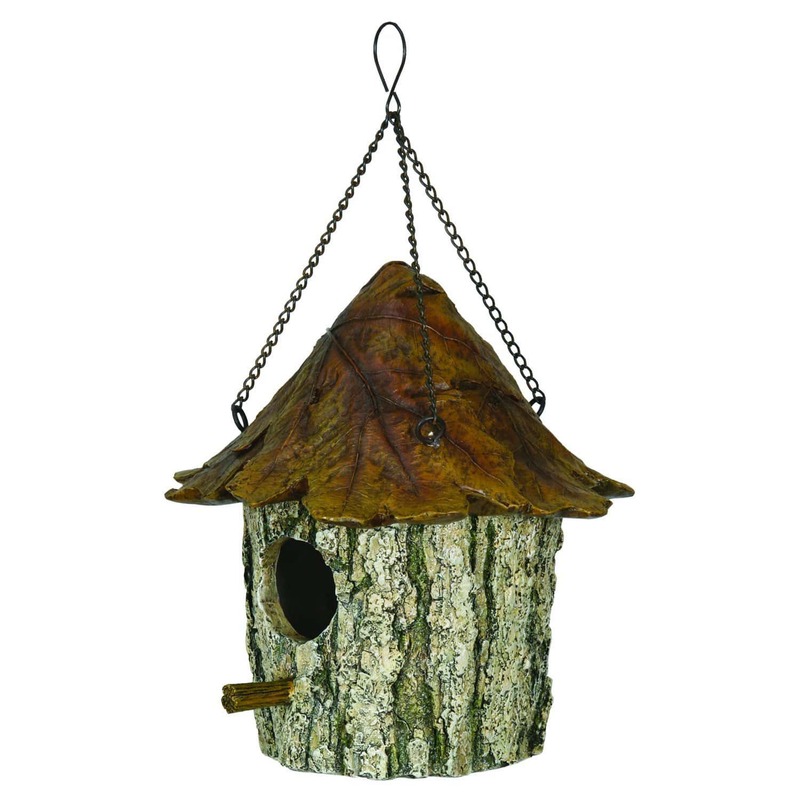 ^ Rivers Edge Oak and Tree Leaf Bird House. A natural looking design that will make birds feel right at home. 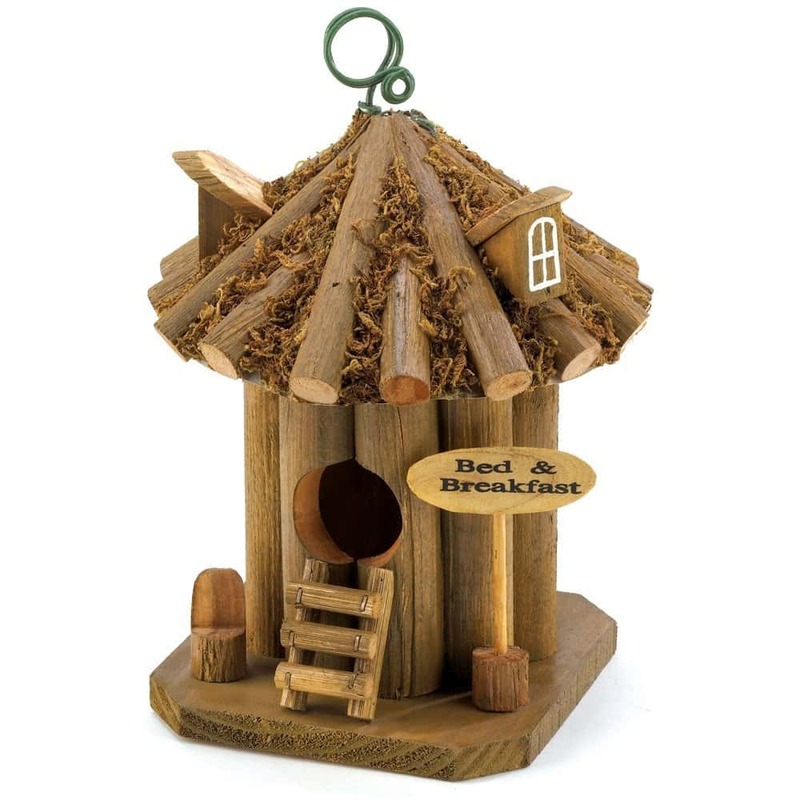 ^ This bed and breakfast bird house is lovely and great value. For under $10 it is also a cool gift idea. ^ A two story bird cafe might be just what your garden needs. 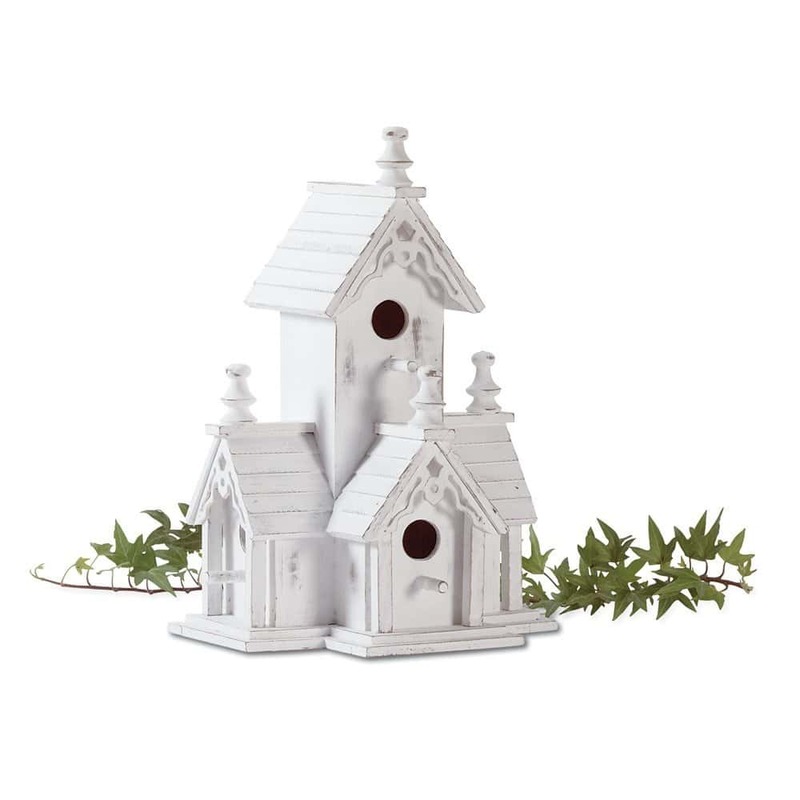 ^ An elegant white birdhouse that makes a perfect addition to any vintage style garden or fairy garden. 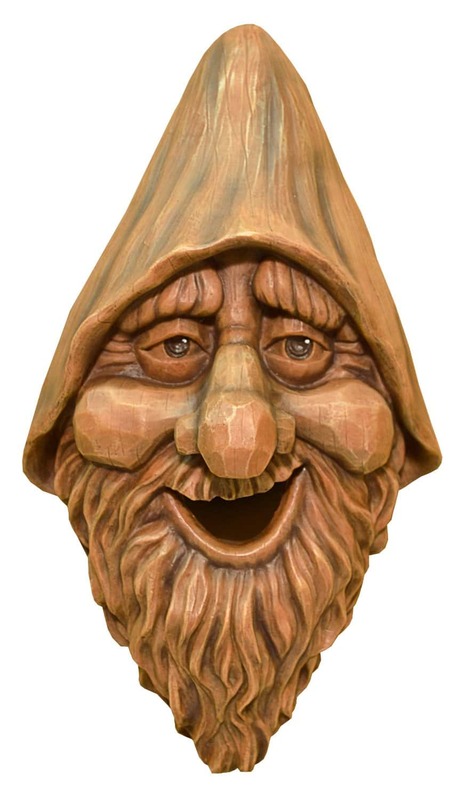 ^ This interesting bird house has been created in the shape of a face. A cool way to add some interest to your garden.